Casino cruise ship operator and Philippine casino investor Genting Hong Kong Ltd is to book a net gain of approximately US$90.1 million from the sale of a 3.29-percent stake in Norwegian Cruise Line Holdings Ltd, a business listed in Nasdaq in New York. 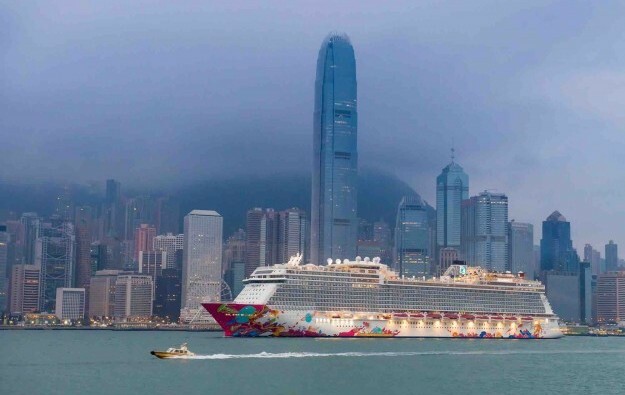 Hong Kong-listed Genting Hong Kong announced on Sunday it was reducing its participation in Norwegian Cruise Line Holdings by 3.29 percent via a secondary public offering. The stake was sold for a total consideration – after deduction of the relevant estimated expenses – of approximately US$409.1 million to a group of three underwriting banks. Genting Hong Kong’s stake in Norwegian Cruise Line Holdings is controlled by a wholly-owned subsidiary called Star NCLC Holdings Ltd.
Based on the closing price of the Norwegian Cruise Line Holdings shares on the Nasdaq Global Select Market on August 10 – the date of the underwriting agreement – the aggregate market value of the shares being disposed by Genting Hong Kong was approximately US$428 million, the firm said in Sunday’s filing. “It is intended that the sale proceeds for the disposal will be used as general working capital and capital expenditure for the Genting Hong Kong group and/or to fund new investments of the group should suitable opportunities arise,” Genting Hong Kong said in the filing. Upon completion of the exercise – expected for Wednesday – Genting Hong Kong will still control a stake of approximately 7.84 percent in Norwegian Cruise Line Holdings. The stake will continue to be labelled as “available-for-sale investment”, the firm said. Genting Hong Kong announced last month it was selling its entire stake in Australian gaming operator Star Entertainment Ltd. The sale via on-market disposals and a block trade amounted to a total consideration of approximately AUD273.4 million (US$212 million), the firm stated at the time. Genting Hong Kong Ltd said on July 31 it expected a net loss for the six months to June 30 in the range of US$200 million to US$220 million. That compares to US$73.7 million in the prior-year period, according to a filing to the Hong Kong Stock Exchange. The forecast did not include the contribution from Travellers International Hotel Group Inc, the joint venture that operates the Resorts World Manila casino resort in the Philippines. Genting Hong Kong – a subsidiary of Malaysian conglomerate Genting Bhd – has been accelerating expansion plans for its cruise business and has developed a three-brand portfolio of cruise lines serving different parts of the market: Crystal Cruises for what it terms the ultra-luxury segment; Dream Cruises for what it describes as the premium segment; and Star Cruises for what it defines as the “contemporary” segment.